Dhaka, Bangladesh (BBN)- Indian Foreign Secretary Ranjan Mathai arrived in the capital Dhaka Saturday afternoon on a two-day official visit. On his arrival, officials of foreign ministry and Indian High Commission received Ranjan at Shahjalal International Airport in Dhaka around 3:20pm. During his visit, Mathai will hold talks with his Bangladesh counterpart Md Shahidul Haque on a whole range of bilateral and regional issues. 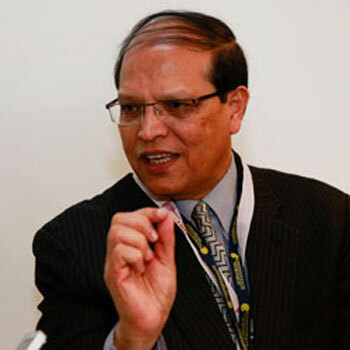 He will also call on Prime Minister Sheikh Hasina, LGRD Minister and General Secretary of ruling Awami League Syed Ashraful Islam, Finance Minister AMA Muhith, Foreign Minister Dipu Moni, Railways Minister Md Mazibul Hoque and Prime minister’s International Affairs Adviser Prof Dr Gowher Rizvi. As the senior most diplomat of the country, Mathai is the chief foreign policy adviser to the Government of India. A joint press conference between Bangladesh and India will be held on Sunday at the UNCLOS conferene room of the Ministry of Foreign affairs in the capital Dhaka.